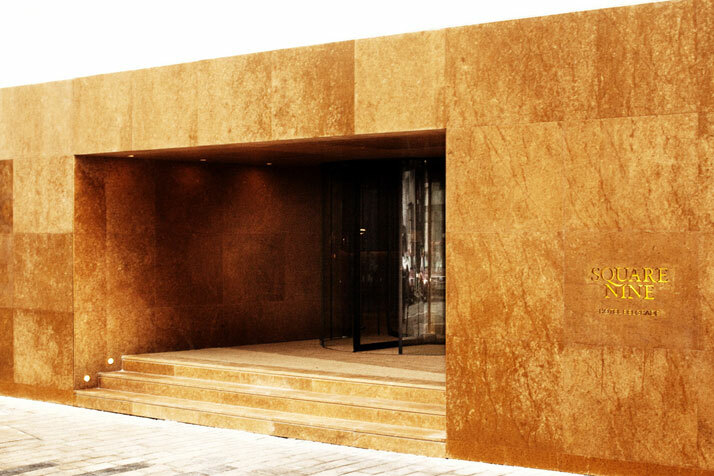 Isay Weinfeld is undoubtedly one of our favorite architects. His architecture is always clean and modern, functional and contemporary, and in ‘fashion’ even twenty-years down the road! 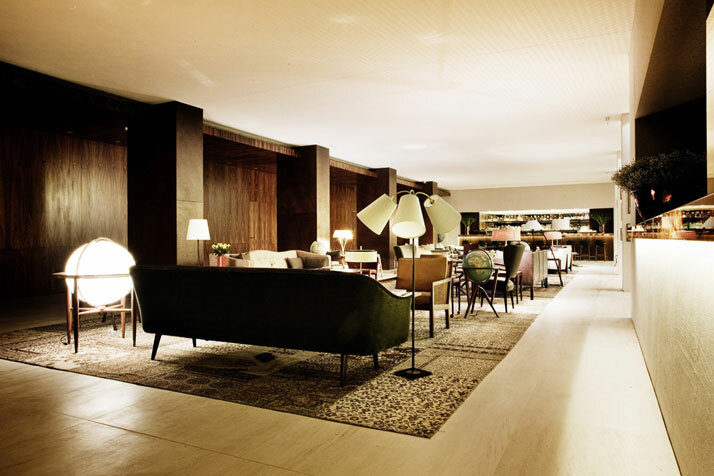 Designed by Brazilian Architect Isay Weinfeld, the Square Nine Hotel is a contemporary construction integrating both modern and historical elements, as seen in many of the surrounding buildings. Located in the heart of Belgrade’s historical center, the boutique-inspired hotel is within walking distance to shops, restaurants and the Kalemegdan - an ancient Roman fortress turned park in a centrally urbanized part of town. 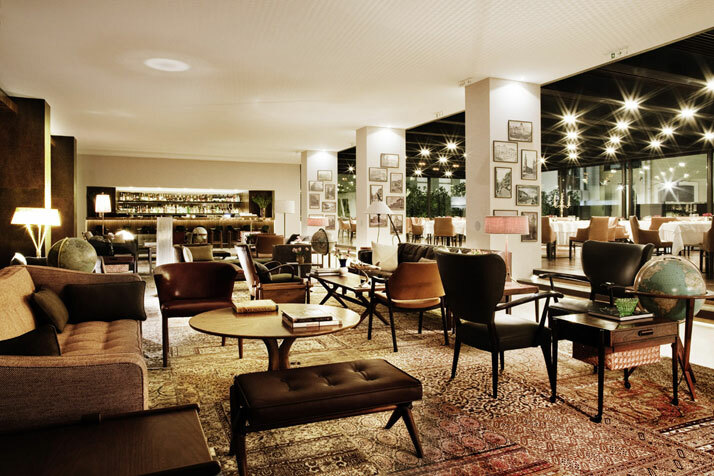 When you visit the Square Nine Hotel website, you immediately cannot help but notice two clocks representing two very different time zones - Sao Paulo and Belgrade. And the link between the two countries half a world apart? Isay Weinfeld. 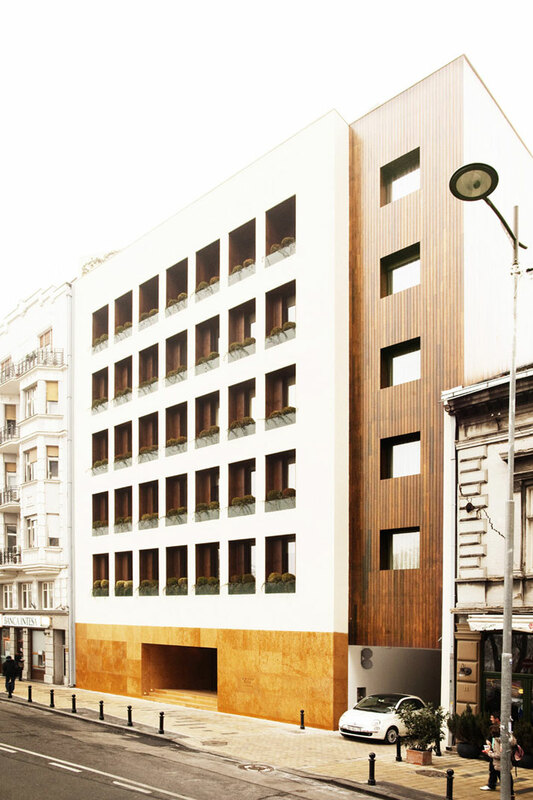 The concept of the hotel was born from the owner’s desire to be part of Belgrade’s renovation impressing a luxurious, but more familiar character onto the city, where in the last two decades only big hotels from international chains, not committed with the city’s identity, have been created. 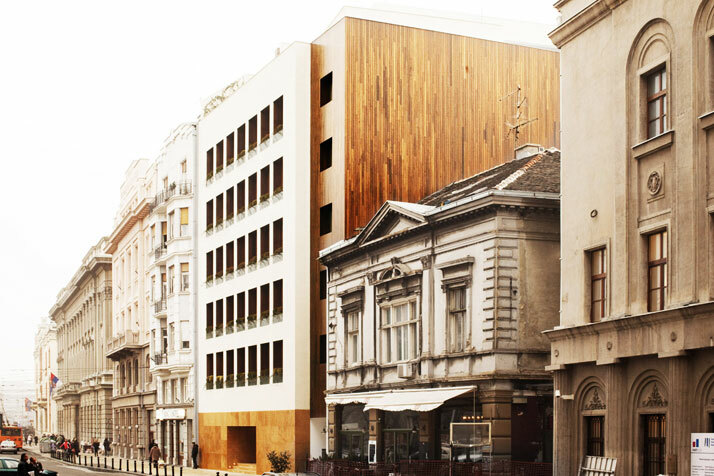 Square Nine Hotel is located on one of the few remaining sites that allows for new construction within the historical city center, across from Students Square (Studentski Trg) and is within walking distance to historical landmarks, the National Theater and the National Museum. The hotel caters to business and leisure guests who want to experience incomparable service, where the staff makes everyone feel so welcome. 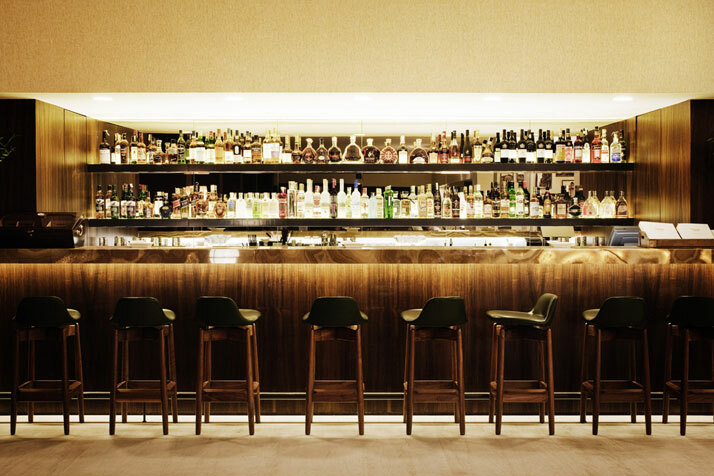 Square Nine Hotel is comprised of a ground level, an underground level and five storeys, featuring 45 contemporary elegant rooms, a restaurant, a lobby bar, a luxury spa and a conference room. The 45 elegant contemporary rooms have been categorized in three ways – 32 and 47 square meter double rooms, and 90 square meter suites which take up five levels of the building. The rooms combine park and inner courtyard views; every detail combines luxury, style and quality. All rooms feature Crema Europa Limestone walls and flooring in the bathroom, while the built-in wash basins are constructed with Onix Tavertine. Hard wood Cumaru flooring and panels have been applied throughout the double rooms and designer luxury furniture adds a touch of elegance, and luxury. Rumors have it that the rooms are the largest in town and come with Hermes bath products, Pratesi towels and robes, Nespresso machines, and free wifi. Each of the five floors features a different hall adjacent to the lifts, with unique and unexpected pieces of furniture; the ambience is that of low-key opuence and coziness. 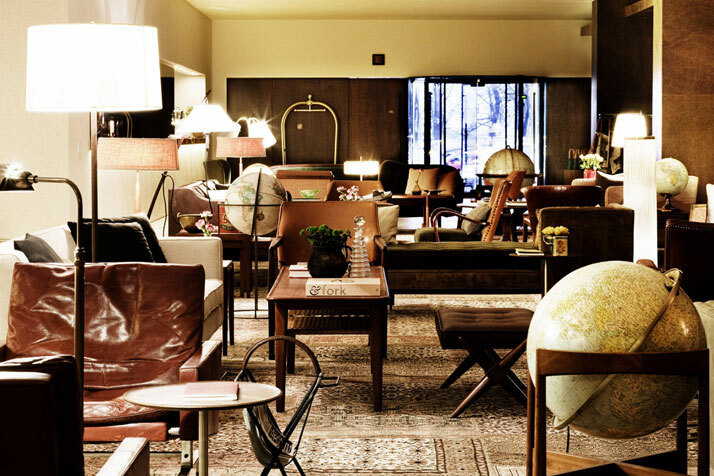 The choice of materials (wood, stone and leather), as well as the furnishings - a varied selection of vintage pieces, by Scandinavian and North American designers, dating from the 1930s to the 1960s - contribute to this understated mood, at once elegant, plain and unpretentious. 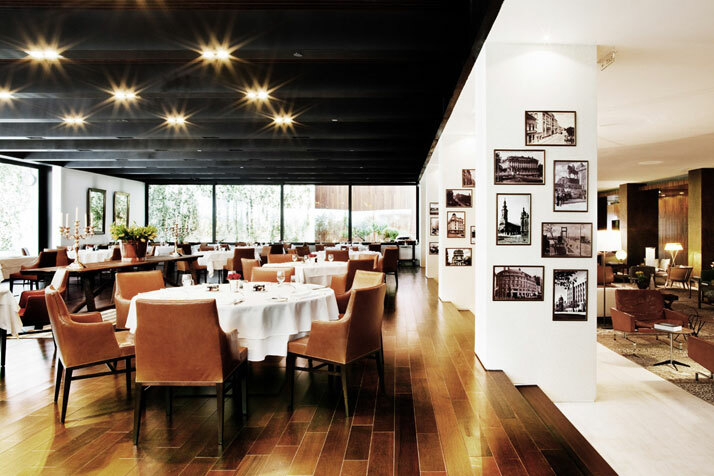 On the ground level, the common areas are ample and integrated, such as the lobby, the restaurant and a little piazza which succeed one another. 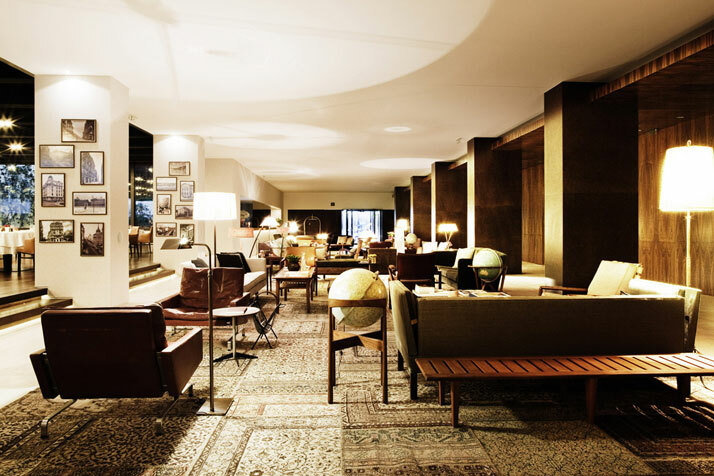 The lobby bar is situated at the heart of the hotel serving snacks and aperitifs at any time of the day, a place to meet in a relaxed, intimate and inviting atmosphere in a bar filled with coffee table books and antique globes, as well as vintage Scandinavian furniture pieces. On the other hand, on the underground level, the luxury spa features a swimming pool haloed by a beam of natural light which is succeeded by a gym, spa and sauna. 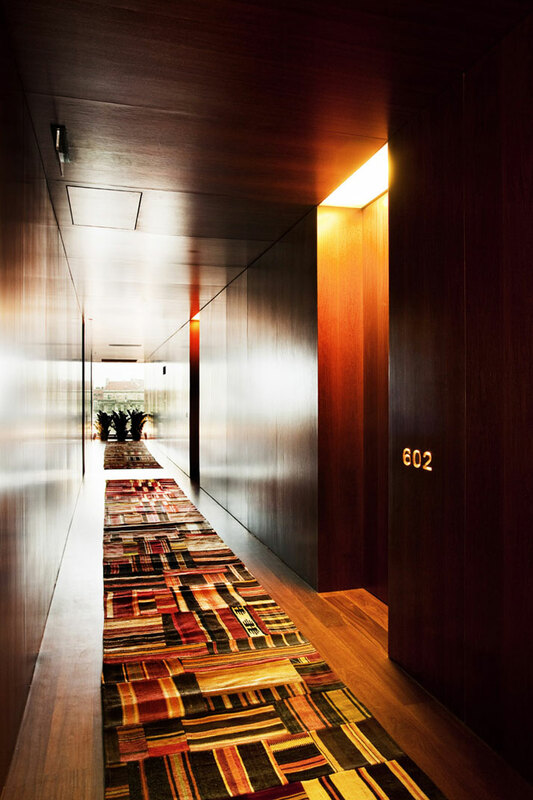 The Square Nine Hotel’s architecture speaks a remarkably modern language and does not clash with or overshadow its neighboring buildings. On the contrary, it follows their scale, the rhythm of their façades - set by the modulation of the openings - and even the moderate hues of their color palette. And the truth is that we have to give credit to Weinfeld as this is one of the features that I appreciate the most in his architecture – he respects the environment and the surrounding landscape and architecture. This present-day structure represents the respect it has for the history and existing old world architecture running throughout the city. 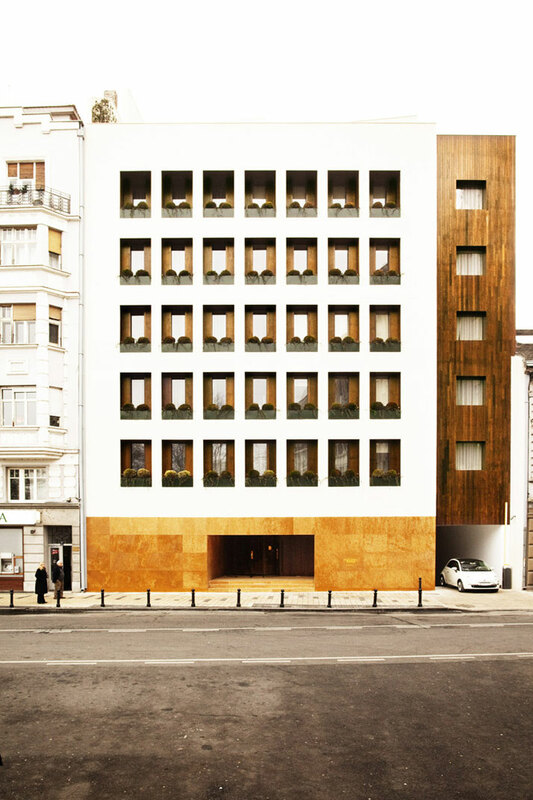 Personally, I find the façade very appealing, orderly and simple but very unique at the same time. 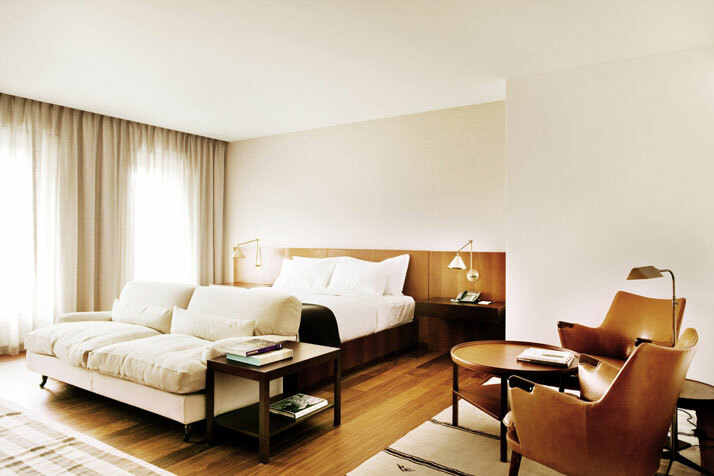 All in all, this hotel boasts modern amenities and interior furnishings with a traditional twist. 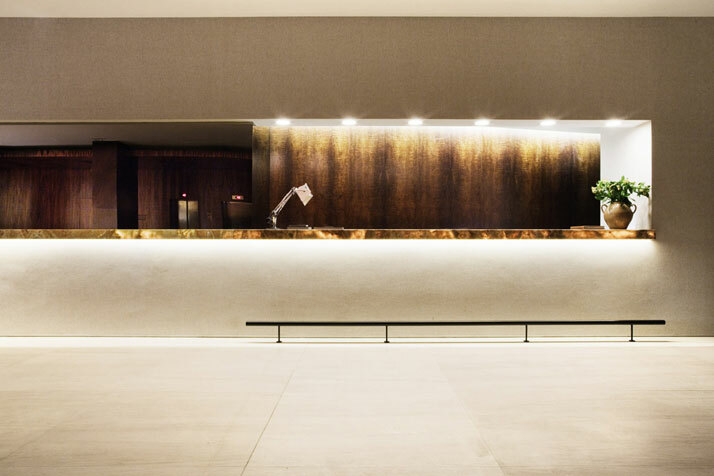 Square Nine Hotel is the first five-star hotel to open in more than a decade; located right in the heart of the historic center conspiring the ideal place to stay and pamper yourselves in contemporary luxury as you discover the blossoming capital of Belgrade.